Kansas City Chiefs star quarterback Patrick Mahomes won't be a two-sport athlete. After video of Kansas City Chiefs quarterback Patrick Mahomes playing a pickup game of basketball gained lots of attention on Twitter, the team's general manager stepped in and said, "no more basketball for Pat", NFL.com is reporting. "The Kingdom can rest assured that we have that under control: No more basketball for Pat". Veach explained Mahomes is too competitive as a person to just play basketball without going too hard. Added Veach: "We were able to nip that in the bud and we feel good about the plan of no basketball with Pat moving forward". He actually was in the office yesterday and we were joking about it. "He doesn't have that filter in his mind to just have fun and not take everything so competitively". 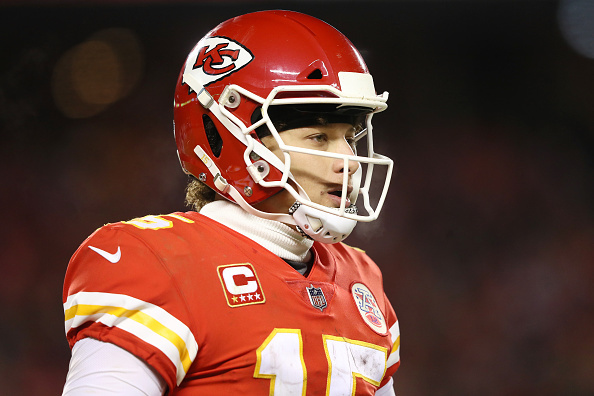 While it's certainly starting to seem like there's nothing Mahomes can't do, it's also abundantly clear there are things the Chiefs don't want the man likely to sign the league's first $200 million contract to do.